Day three of the Legislature’s fourth special session is underway. Committees are churning on criminal justice, taxes are a distant thought and, as always, it’s hard to know if anything’s going on. Who knows what will happen over the remainder of session, but if the first few days are anything to go by, then it’s going to get messy. Going into the fourth special session, there were signals that the House planned to fast-track Senate Bill 54 in order to get it passed and the table cleared to take up Gov. Bill Walker’s wage tax. The House Majority cleared one of the bill’s committee referrals to get it into the hands of the House Judiciary Committee, which has since heard invited testimony, held two marathon public testimony sessions and started hearing amendments. By any other measure this would be a blistering pace, but there’s just 30 days on the clock and, as is explained in the following takeaways, there are plenty of signals that things could go off the rails and SB 54 doesn’t get out of the House until the final days of the session. Buckle up. Senate Bill 91 passed with bipartisan support and bipartisan opposition in 2016 so there was an expectation that there’d be a split this time around, but the immense public pressure on Anchorage-area representatives seems to have shifted things more than originally thought. There’s Rep. Gabrielle LeDoux, an Anchorage Republican who caucuses with the House Majority, who was a stalwart defender of Senate Bill 91 as the chair of the 2016 House Judiciary Committee, but she’s been a much more critical voice this time around. Though she’s not entirely aligned with hard-line SB 91 opponents like Rep. Charisse Millett, but she’s voted with her more often than not in committee. The divisions will be particularly critical heading into the floor vote on SB 54, where we expect to see all sorts of amendments (a full on repeal of SB 91 included). Keeping that process from getting entirely out of control will be a difficult task if the House Majority and its moderate Republican allies on criminal justice can’t keep things together. 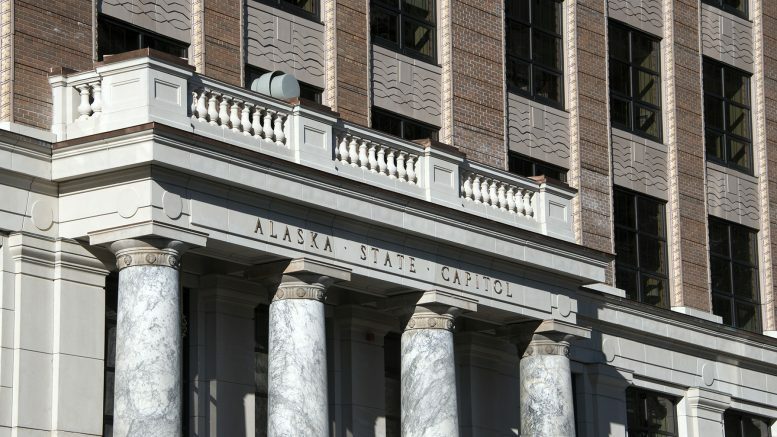 Current House Judiciary Committee chairman Rep. Matt Claman, D-Anchorage, said there were as many as 60 amendments working their way through the legislative legal for Senate Bill 54. As with the shifting political alliances, the goals have also shifted under public pressure. Supporters of SB 91 are now mostly happy to take SB 54 as is, but the opponents of SB 91 think they smell blood in the water. The committee has already voted to restore penalties for injuring a uniformed first responder, added a bill targeting specific types of opioids and synthetic opioids, and repealed administrative parole, which allows prisoners meeting a strict set of requirements out early (just three since it became law). It hasn’t been pretty. The amendment process removing administrative parole was perhaps the most telling of the messy process. The amendment was offered by Millett, the Anchorage Republican who’s filling in in place of Rep. Lora Reinbold (who stayed behind in Anchorage to hold a town hall). Millett and her staff had trouble explaining administrative parole and when asked why it was created offered to read verbatim from the Alaska Criminal Justice Commission’s report (which another legislator pointed out was the wrong part of the report (Update: It looks like the correcting legislator was wrong and it was, in fact, the correct section)). The amendment passed 4-3. Where are the SB 91 hard-liners? Rep. Lora Reinbold’s absence from Juneau has been glaring. As the most outspoken critic of Senate Bill 91, she for opted to miss the first two days of session to hold an Americans for Prosperity-sponsored town hall on the “Dangers lurking in SB 91.” Listening to the public testimony, it doesn’t seem like Anchorage needs any more convincing about the “dangers” of criminal justice reform. Instead, the House Judiciary Committee has been staffed by fill-in Rep. Charisse Millett (We might have more on this later in the week. Perhaps on Friday). Also over in the relatively under-the-radar joint meetings held by the Senate Finance Committee and Judiciary Committee, Sen. Mia Costello, the Anchorage Republican who’s pledged to introduce a bill repealing SB 91, has been almost invisible during the committee’s two hearings. As someone who apparently believes the entire criminal justice reform should be tossed, she’s appeared happy to let Sens. Peter Micciche, Mike Dunleavy and, to an extent, Gary Stevens carry the tough-on-crime mantle. The division and shifting alliances are obviously not unique to the House, but it appears that Senate leadership is not enthusiastic about rolling back any more of Senate Bill 91 than they did when they passed Senate Bill 54 during the regular session. The Senate’s two public-facing leaders on the issue are Sens. Lyman Hoffman and John Coghill, who’s the sponsor of SB 91. It’s likely less out of a commitment to criminal justice reform and more a function of the fact that the Senate is fully aware that increasing penalties, rolling back parole and sending more people back to prison is going to be a disaster for the budget. Department of Corrections Commissioner Dean Williams also reminded the committee on Tuesday that 95 percent of people behind bars who’re currently behind bars will eventually get out. Criminal justice reform, he said, is focused on changing what they do once they get out. Be the first to comment on "Five takeaways on the special session so far: ‘We’re going down a rabbit hole.’"